I can't not write a post on waste in Peru. This year my eyes have been opened to the amount of trash we generate. While I try (try still being the keyword here because I still make bad decisions) to keep what I send to the landfill at a minimum, I find myself being more conscious of the waste I generate when traveling. I also am more keen to recognizing how other countries and cities deal with trash. It's a learning experience and we all need to learn from each other about how to ensure the places we want to visit stay free of trash and available for the next generation to enjoy. I feel that cities like Cusco and Aguas Calientes are transient towns. There's a lot of tourists that come there once in their lives. I am probably one of those people. There's a lot of trash that gets generated. Most of the trash really outlasts the tourist stays and that's pretty sad. When we think about traveling, we want to enjoy where we are going, but we rarely think about the mark we are leaving on those places. Plastic water bottles is probably the biggest culprit as far as trash in Peru. Because the water is not safe to drink, the country relies heavily on bottled water. It's cheap and sold everywhere. It also just gets discarded like regular trash. The sewage system in some of these towns are also very old and weak. With the influx of tourists coming through, the sewage system takes a beating and therefore many places do not allow toilet paper to be flushed down. This adds on to the waste. It's kind of ironic though because the Incas were built superior drainage systems for their temples and cities. Systems that have stood the test of time. In Aguas Calientes, we saw trash being separated on the streets. The locals appear to know that they have to recycle, but couple that with an influx of tourists and trash just piles up. In Cusco, we saw stray dogs rummaging through trash bags looking for food and littering waste all over the street. Trash being separated in Aguas Calientes. Note that the workers have thick rubber globes, masks and full gear on as they separate the trash. On the Inca Trail, all of the tour companies, porters and guides took it upon themselves to make sure every piece of litter was picked up. Some of the porters even carried sticks that allowed them to pick up litter as they walked. Even so, because there are no trash cans readily available on the trail, you will still see snack wrappers, toilet paper and some plastic bottles on the trail. It's a shame really. This trail has been in existence for some time and it only allows a few hundred people each day, yet we already see some of the damage from our waste. When traveling to Cusco, Aguas Calientes, the Inca Trail or Marchu Picchu is be conscious of what you are consuming. Is what you are buying really necessary? Can you wait to dispose of it until you get to an actual trash or recycling bin? One of the conscious decisions I made was to bring toilet paper and wipes that were compostable. I honestly wasn't sure how the bathroom situation was going to be, but I wanted to make sure I was somewhat prepared. While the bathrooms had trash bins or flushing systems, we did have to go out in nature at least once. After much research, I ended up purchasing Honest Wipes because they are biodegradable and compostable (though it says industrial facilities), but there are many other great options there. See other recommendations below as Hones wipes appear to be out of stock. Also, keep in mind that you will be tempted to buy stuff there. The prices seem reasonnable considering the conversion from US Dollars to Peruvian Soles, but really think about how much you need it. Water is not safe to drink out of the tap, but can be boiled to reduce contamination. Water in plastic bottles is prevalent unfortunately. We did end up buying lots of water bottles, but we opted to buy larger liter bottles that were distributed across smaller bottles and water bladders. Camp also provided boiled water towards our last 2 days as bottled water is not available later in the Inca Trail. We also drank lots of tea from coca to lemongrass to mint to help with our stomachs and to keep us all hydrated. I guess you can opt to use the mountain water as they did use that to wash the plates and silverware from our meals. Just be careful and be prepared with water purification tablets or a life straw and know the risk of drinking that water. 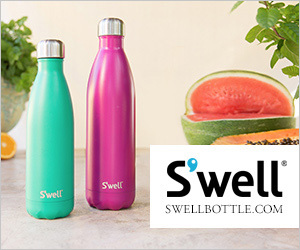 Definitely bring your reusable water bottle. 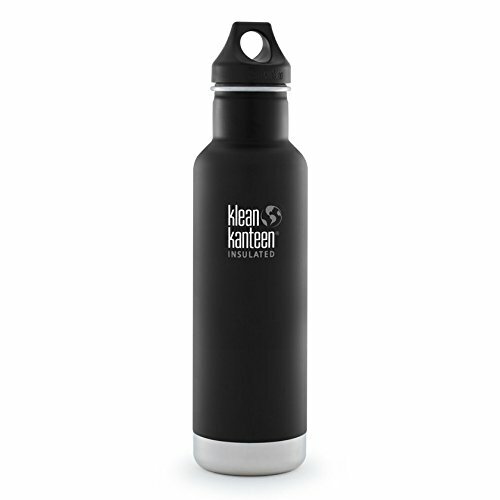 I am and continue to be a fan of the Klean Kanteen insulated water bottle. It's traveled with me everywhere and I like that it keeps my water cold. Full disclosure that I did not really do that much research into this trip. I said "yes" when someone asked months ago not realizing my impact. One of the guys on the group knew the tour operator and I must say they did a phenomenal job taking care of us and running an efficient and eco-friendly tour. We went with Willka Travel. You can check out other companies from this comprehensive list. It's was nice to see the tour company use metal, reusable utensils, plates, cooking ware, etc. 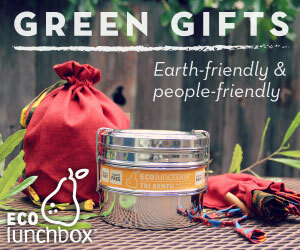 Make sure you are selecting a tour company that also eco-responsible. Our meals on light reusable metal plates. Another meal with a reusable plastic cup. The restaurants we went to were all sit down which meant food and drinks came in standard dining ware that could be used for the next guests. This was easy to do as most of the places in Cusco and Aguas Calientes are like that, but still it's a good way to reduce your trash by taking the time to sit down for your meals and not having it in take-out, plastic containers. To warn you there is a Starbucks in Cusco so keep that in mind if you really need coffee. Bring your mug. Almost zero waste breakfast. Skipped the straw and had everything to stay. I had brought my own water bottles and some of my cotton bags. I was able to use my water bottles for water as well as freshly squeezed orange juice. I was also able to reduce plastic bags because I had my own bag to put items in. The place we stayed at in Cusco had kitchenettes with plenty of reusables and fresh fruit. My husband squeezing local oranges for plastic free orange juice. At one of the stops, you will see a reminder asking you not to bring in garbage. We all have to do our part to make sure others have a chance to see this wonder of the world. Even in Lima, the waste situation seemed the same. In some of the poorer neighborhoods, you see waste scattered around. Usually when I walk neighborhoods, I start noticing how trash is being taken care of. We stayed in a fancier part of Lima, called Miraflores. The streets were cleaned. We encountered the trash bins below that had specific bins for all kids of trash. The one thing I didn't notice was a bin for organic materials. Perhaps next time it will get added. Did you also notice one specifically for Tetra Pak. Tetra Pak is unique because it is made of multiple layers of materials and must be separated before each layer is recycled. Trash bins next to a grocer story in Miraflores, Lima, Peru.